The great Miss Kuhr has created some fabulous new prefabs for us and they are now for sale! I personally can't wait until I can buy some land just so I can live in one of these houses! 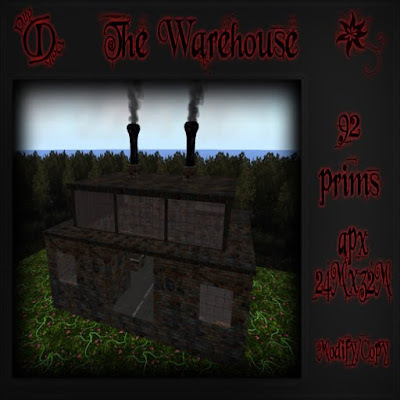 First up we have The Warehouse. -insert creepy ghost noises here- I actually think this is a great prefab that has a steampunk/Mad Hatter feel to it. I have no idea why it reminds me of the Hatter it just does. 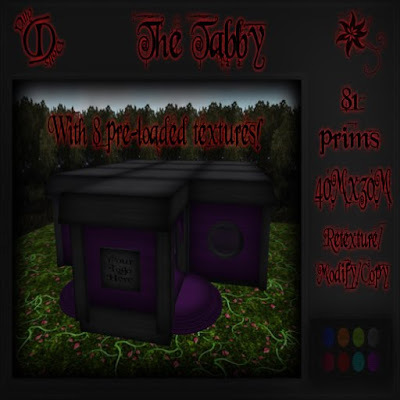 Next we have The Tabby, and what do ya know it is texture change! I think this one is just such a cute little kitten, I want a little plushie of it! Though OUCH! I think those corners are a bit uncomfortable to snuggle. 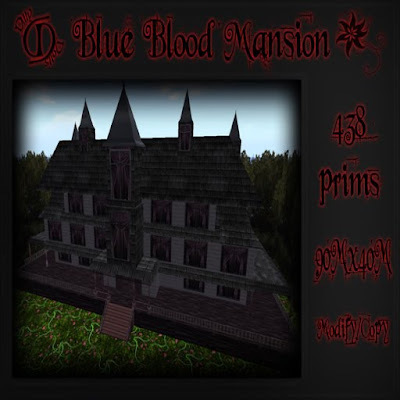 And last but not least we have the Blue Blood Mansion. This one is so elegant and just wow. Though there is a downfall to this prefab, you do have to go up into the attic every once and a while to make sure you don't have any pesky vampire nesting up there, they just do a number on the neighbors! All the prefabs are located in the basement which you have to find mwahahaha! Don't worry though if you want the easy way out all you have to do is cam around.